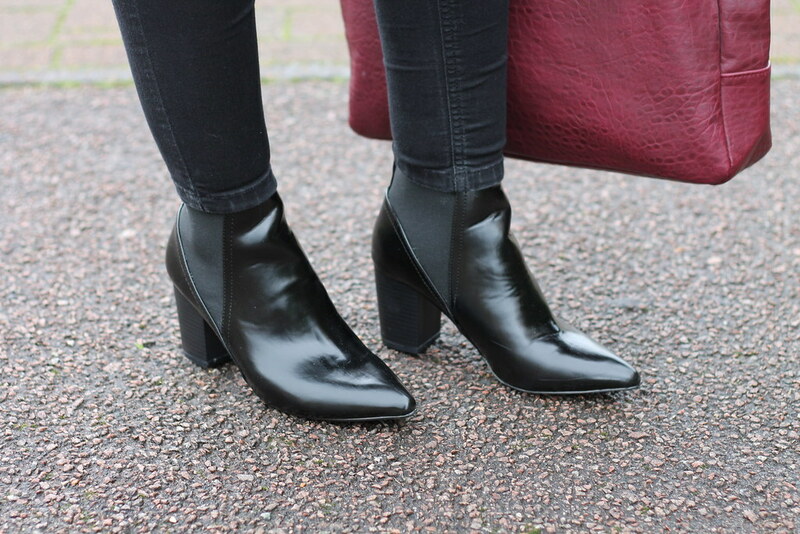 I couldn’t be more obsessed with pointed shoes at the moment and a pair of black ankle boots is just what I needed so these bad boys tick all the boxes. This post is in collaboration with Dorothy Perkins and their latest campaign which is #MyDorothyMoment. They’re currently holding a competition to win a pair of shoes every month for a whole YEAR. Heaven. So if you fancy getting involved upload your #DPShoeSelfie to Instagram (tag me in as I’d love to have a nosey!). 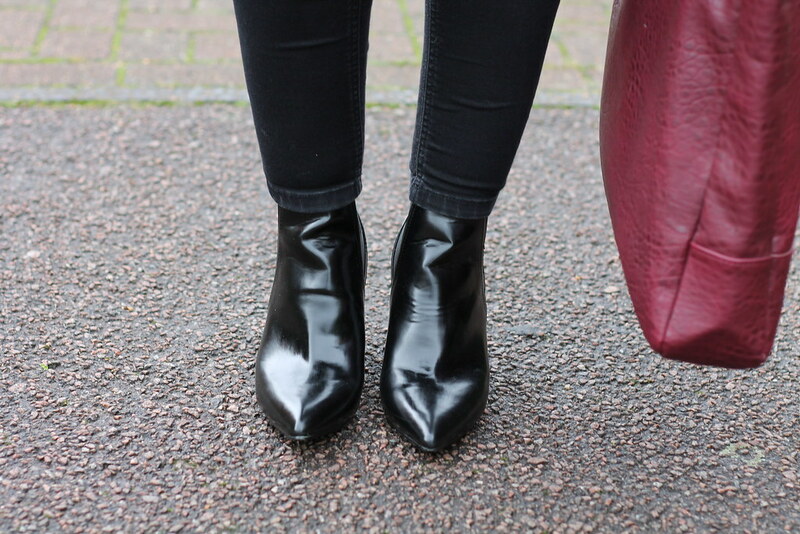 For #MyDorothyMoment I chose these boots as like I mentioned, I had a pointed boot shaped hole in my life! The heel means they’re perfect for daytime too and nipping out for a spot lunch of lunch…and shopping. You can find more information on the DP Facebook page HERE and the website HERE. So I better mention the GORGEOUS coat I’m wearing, it’s a gooden! 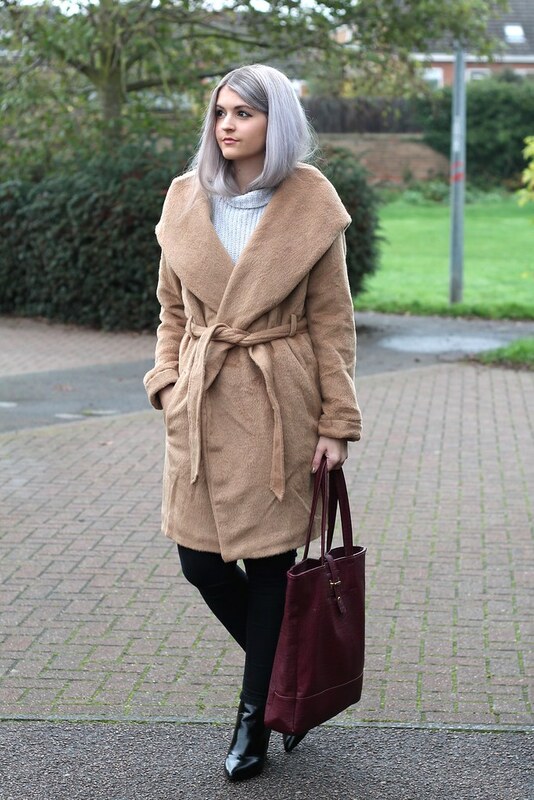 I’ve been searching for the right winter coat for weeks, despite already having too many I feel you have to get at least one new perfect coat a year. Non? On my mental checklist was it must be either grey or camel and preferably a wrap/tie style, et voila. I feel like I’m wearing a snuggly dressing gown and that suits me just fine.